For a bag that will protect your gear from A-Basin to Whitefish, you need a bag like the Dakine Tour Snowboard Bag. This snowboard bag holds one board and pair of boots, with all-over padding to protect all your gear. The padded shoulder strap can be removed in case you prefer to use the handles at either end, or you can sling it over your shoulder while enjoying complete comfort. 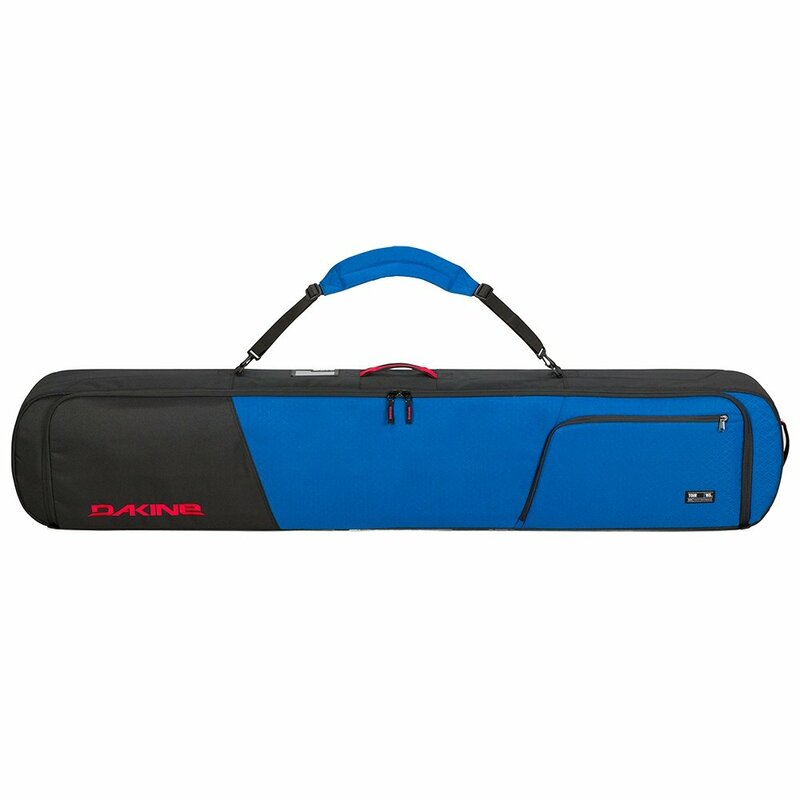 The Dakine Tour Snowboard Bag has an exterior pocket and lockable zippers to keep all your gear safe and secure. Dimensions (157): 12" x 6" x 62"
Dimensions (165): 12" x 6" x 65"